ELIZABETH CITY, N.C. –– Become familiar the 2016 Jeep Cherokee, including its various trim levels, design elements, performance capabilities, and modern technologies that make the 2016 Jeep Cherokee one of the great SUVs of today. Available the Sport and Latitude trim levels, the 2016 Jeep Cherokee is ready to meet the needs of various drivers. On the road, you can rest assured the 2016 Jeep Cherokee will keep you relaxed in its improved interior, and energized by its balance of rugged and refined style, and efficient performance thanks to a number of convenient and advanced features. 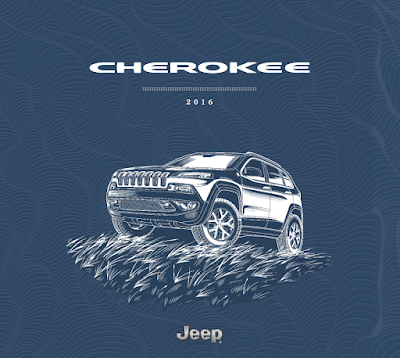 You can find all of the facts and details on the 2016 Jeep Cherokee in the downloadable 2016 Jeep Cherokee brochure and decide which specifications of each trim level fit your needs best.